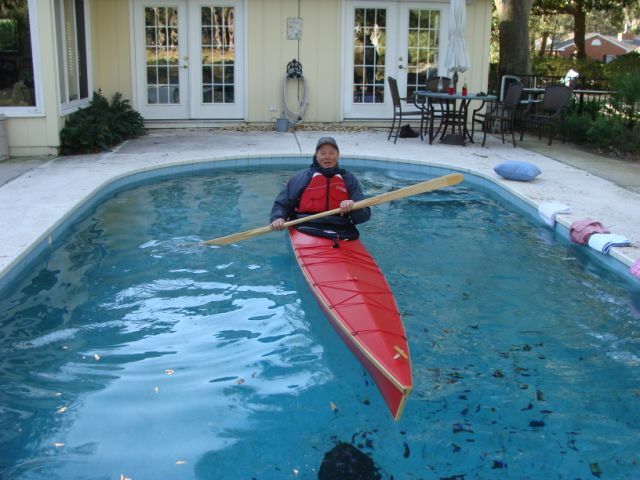 Here floats RED RYDER in a swimming pool with her builder, Rip Graham of St. Simons Island, Georgia, aboard. His wife Charlotte took the pictures and shared Rip’s project with us. 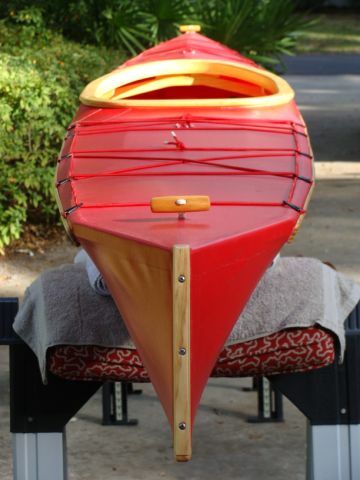 Rip built modified version of Tom Yost’s Nikumi design for a 17′ x 22″ Aluetian Baidarka touring kayak. Rip covered a frame of South American pine with a skin of 22-ounce reinforced PVC fabric. He also built the paddle and internal airbags. “It tracks straight as a laser and is a blast to paddle.” Rip reports. 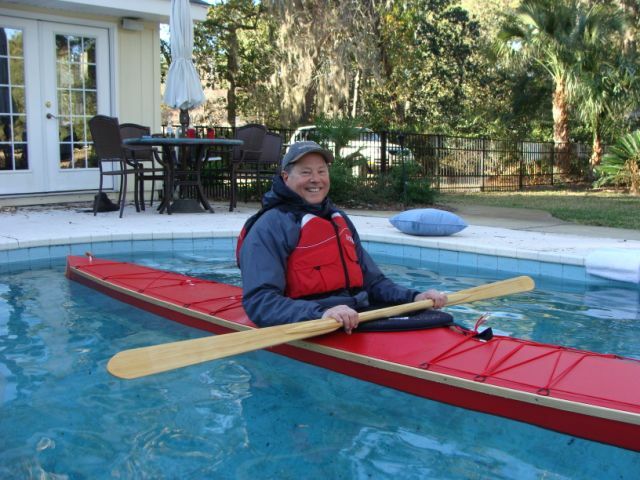 He enjoys paddling the waters near his home in coastal Georgia.